Direct mail is alive and well and for the forseeable future will continue to be a powerful workhorse for fundraisers. This class will cover both donor renewal and donor acquisition, as you work to keep current donors engaged and attract new supporters. Among the key components to be covered are effective writing and design, printing and mailing, mailing lists, stewardship and measuring success. 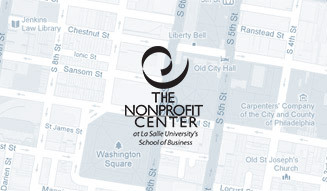 You can keep your nonprofit from being an easy target for cyber scammers. Business planning is the way you connect your mission and your programs, identifying needed resources and developing performance measures that enable everyone in your organization to understand if desired results are being achieved. Take a candid, and sometimes surprising, look at the politics of identity and the dynamics of power and privilege and how they influence our lives and or work. The capstone course for the Fundraising Certificate and/or the development professional who understands the fundamental elements of raising funds and is ready to refine key aspects of their fundraising strategy and engage others more deeply in this work. Explore the essence of nonprofit leadership and the leadership styles of others, to develop an understanding of the traits of successful leaders.